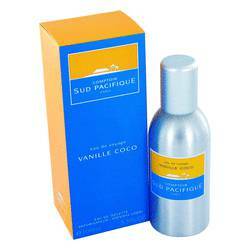 Comptoir Sud Pacifique Cool Tropic Turquois Perfume by Comptoir Sud Pacifique, Comptoir Sud Pacifique Cool Tropic Turquois is a floral fruity women’s perfume from 2005. It has citrus, fresh spicy, woody, ozonic, green, and aquatic main accords. 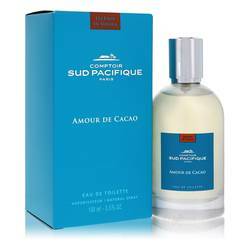 Both the flacon and the packaging reflect the favored color and the name of the fragrance, turquoise. The scent has fruity top notes of watermelon, tangerine, bergamot and grapefruit, along with mint. Citrusy middle notes are paired with ginger, jasmine, Read More Read More and freesia, with base notes of oak moss, white musk, and Brazilian rosewood adding depth. While the longevity is light, the sillage ranges between moderate and enormous for summer day wear. 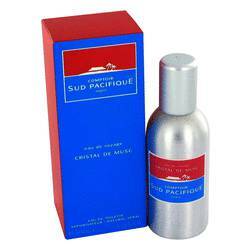 Launched in 1974, Comptoir Sud Pacifique is a fragrance company based in Paris, France. Founded by a couple who were intrigued by the South Pacific and fragrances, the company changed ownership in 2011 and is now led by Italian-born Valerie Pianelli. 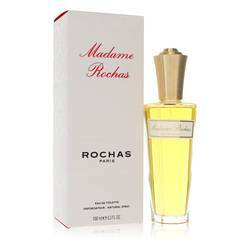 More than thirty fragrances have been produced for this brand, which also include jewelry, body care, and home fragrances. All products are original, authentic name brands. We do not sell knockoffs or imitations.